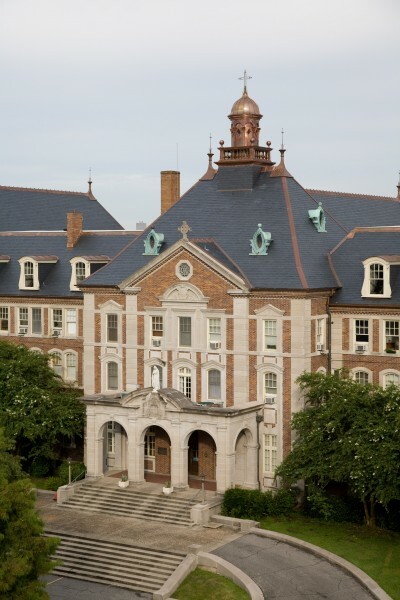 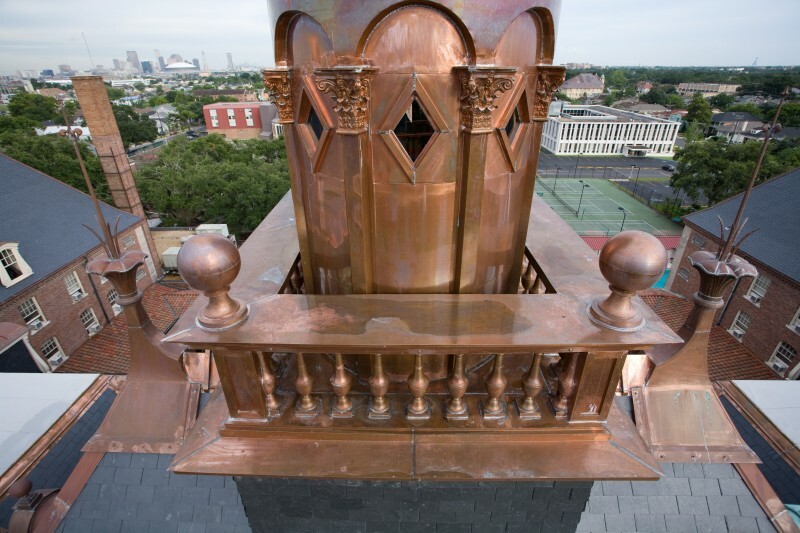 Complete roof restoration of Roman Catholic Church of the Archdiocese of New Orleans, Notre Dame Seminary, including 840 sq. 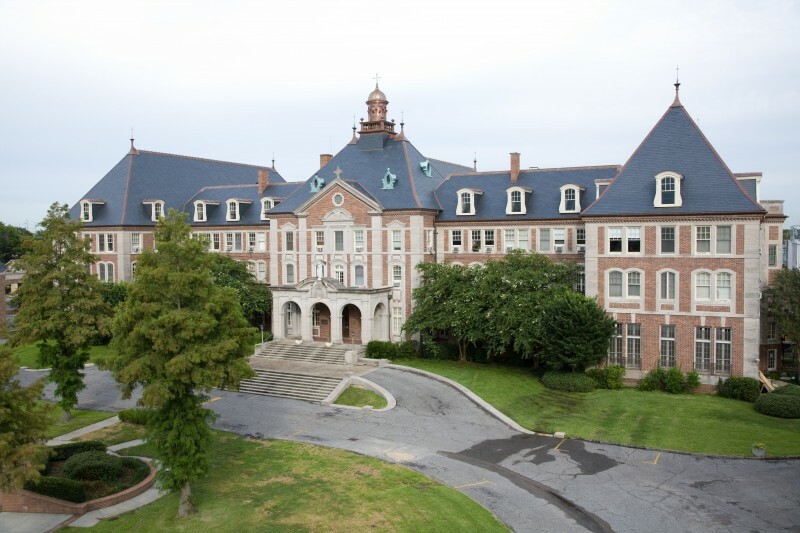 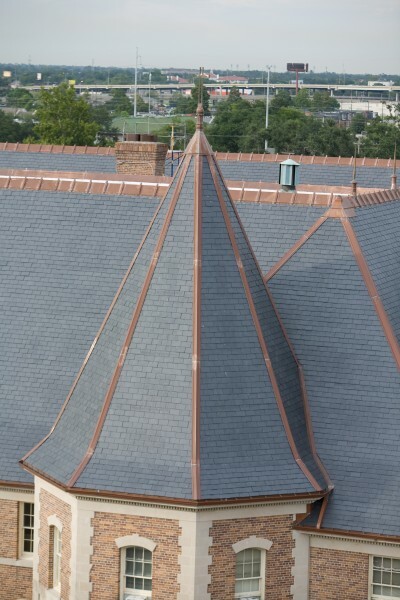 slate roof restoration/replacement; custom copper gutters & hangers – 3,000 linear feet; custom copper hip & ridge to match originals – 2,000 linear feet; gypsum deck repairs – 10,000 sq. 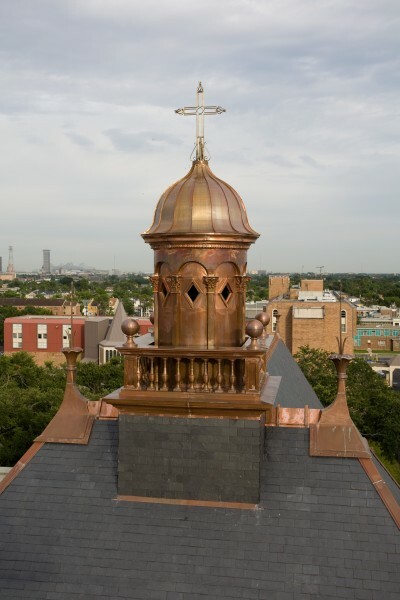 ft.; new standing seam copper dormer tops to match originals – 26 units; new copper flashings; new custom copper finials to match originals; new 16′ tall copper cupola to match originals; carpentry/paint-work on dormers; clay tile roof repair; and built up roofing systems on flat roofs.